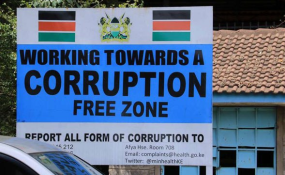 Nairobi — The United Nations Office on Drugs and Crime (UNODC) in Gigiri, Nairobi, is hosting hundreds of youth for a three-day conference that seeks to dialogue and generate solutions on anti-corruption. The high-level meeting kicked off Thursday and was opened by ambassadors and Global youth representatives to the United Nations covering all 47 counties. "The Youth Workshop will serve as the launch of UNODC-ROEA's Regional Youth Program which aims to serve as a valuable resource for youth integration into leadership opportunities and anti-corruption initiatives, supporting the Sustainable Development Goals and Vision 2030," he said. "To remove cancer, you have to fight it from its roots in order to succeed. If we invest more in top notch knowledge from the lower level all the way to upper academic level, get the best technology from around the world then employer ability will increase" He added. "The great concern is what can we do as a nation to curb on drug abuse and crime in this Nation, the dynamics that revolve around the solution focus on creating a wide range of employment opportunities."